Love these for my dining room chairs! 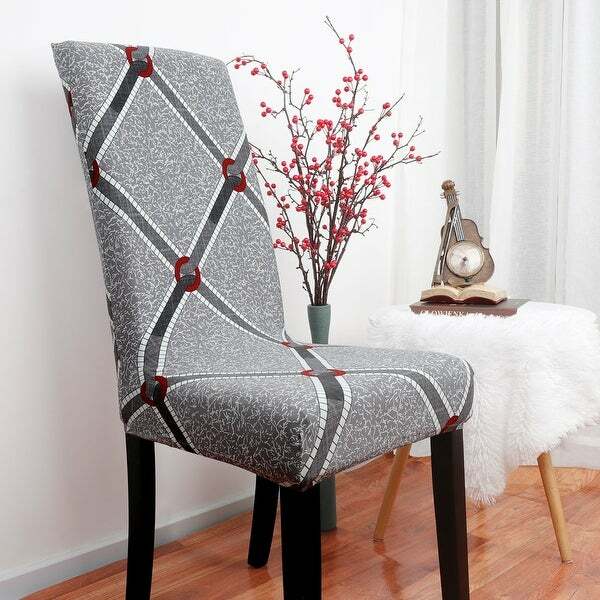 Redecorate your dining room in style with this Stretch Dining Room Chair Cover. It comes in a rich color pallet that blends with most room decor and it will add a stylish appearance to your dining room area. Made from a blend of polyester and spandex fabric this cover gives you long-lasting durability and easy maintenance. The Dining Chair Slipcovers also features an elastic closure to give a snug fit on the chair that also gives a neat look to the furniture. Easy to keep clean this chair covers are resistant to staining and the easy care fabric can be safely washed in the washing machine when needed. 1. Please measure your chair prior to purchasing to ensure the best fit. 2. As different computers display colors differently the color of the actual item may vary slightly from the images. We are so confident in the quality of our product that you'll love it. If you're not completely satisfied with your purchase simply let us know and you'll be offered a FULL Refund or Replacement. Enjoy this absolutely RISK FREE purchase today by clicking the yellow 'Add to Cart button' above.